The Ford Capri followed the life cycle of an '80s women's tennis star. It started from obscurity in 1961 and by the age of 15 (1975) was a star, winning accolades and awards, but peaked early and petered out in a string of back injuries and misdemeanors. Today the Capri can be found at your local tennis club living on the millions it made in its youth but struggling to teach kids lessons on a regular basis. 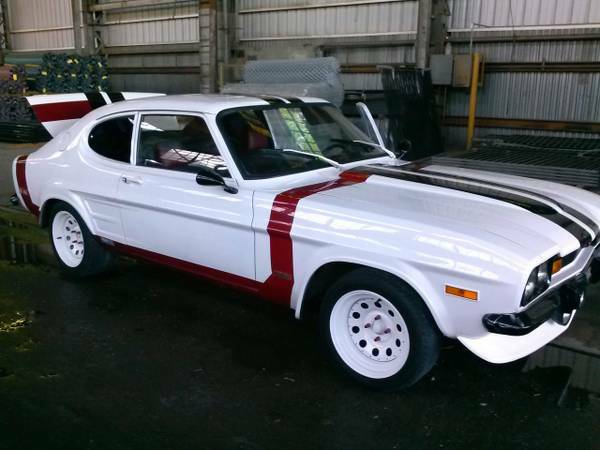 Find this 1972 Ford Capri 4-spd for sale in San Jose, CA for $6,000 via craigslist. 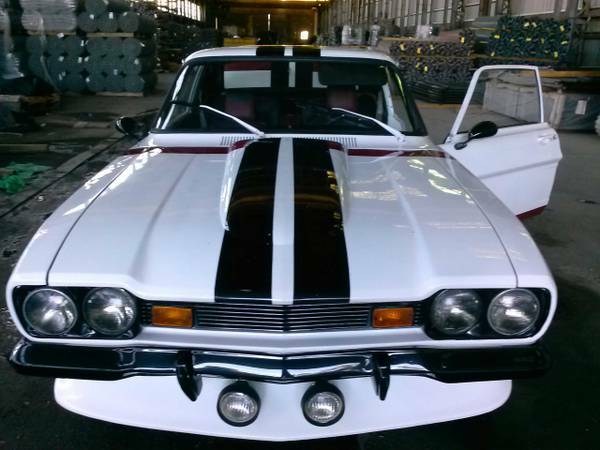 Tip from Jeffrey L.
This Capri has been given a custom paint job, but it suits the Euro-rally style of the Capri well and we wouldn't be embarrassed to drive this to a job interview...well...maybe a little. Anyway, it is equipped with a 2.0 to 3.4 liter V6 (seller doesn't specify which) attached to a 4-speed gearbox and while it won't be fast it will be fun to cruise around and happy in the turns. It offers a surprising amount of rarity, sportiness and cool for $6k. The Euro-merican bosozuku look notwithstanding, this is a very appealing DT. Not ridiculously difficult to wrench on and not already modified in the meandering, distracted, purposeless way that leaves your pockets empty and your SO calling attorneys. But that paint...Nope. Not even a little bit. Not even close. Yep - this is either a 2.6 pushrod v6 or a 2 liter ohc 4 - both great engines.